Who is it for? Streetwear Captivating Rose is for those who need a lipstick for casual or daily wear in a satin finish. It comes in a black rectangular packaging; there is a label on the side of the lipstick roll which contains all the details. Then the lipstick roll, the body of lipstick roll is black which contains the name of the brand. The texture is very buttery. It glides very smoothly. 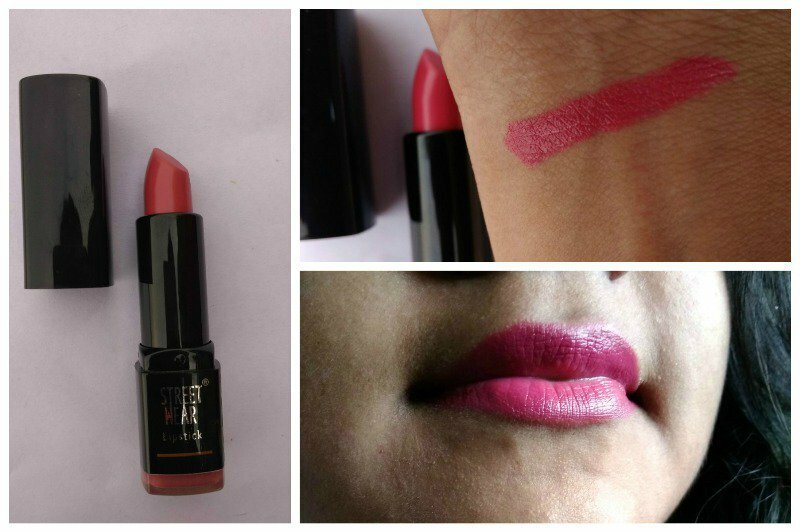 With this shade, you can apply double coating so that it can leave the exact amount of lipstick on your lips. The shade of the lipstick is slightly bright pink. It leaves does not leave the exact color as it appears on the lipstick, it appears slightly light on the lips. Pigmentation is very light, it does not give over the top kind of effect to the face. It is a satin finish lipstick that’s why it leaves a glossy effect. Well, the staying power is satisfactory. It stays for more than 4 hours. It does not survive heavy meals. The shade is pinkish so it suits medium to dark skin tone as well. Why didn’t I like it? The packaging does not highlight that it is a Revlon product, you need to search for it. I personally liked this shade and it is a good option for daily wear. Yes, I would recommend this Streetwear lipstick Revlon lipstick. Streetwear Lipstick Fire Your Ex ! 5 Streetwear Color Rich Mega Shine Lipglosses Reviewed for You !